Why is my Cat peeing everywhere all of a sudden? Is it spraying or urinating? The first thing you should do straight away if your Cat has all of a sudden stopped using the litter box is to pay a visit to the Vets. You want to make sure your Cat is medically okay and healthy. Cats may suffer from UTI (Urinary Tract Infection) which could be the reason why your Cat is peeing everywhere. 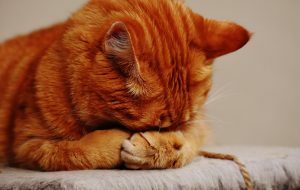 What are the causes that stress your Cat out? Cats are very routine animals and they love routine so as soon as there is a change in their routine this can cause them stress. Changes in their environment can cause them stress such as new furniture or you have redecorated your house. You need to show your Cat more love and affection by taking time out and just sitting with him and stroking him. If you have introduced a new routine such as feeding him a different time then it’s best you stick to his schedule. Of course this all takes patience, time and understanding but if you keep at it you will have a happy Cat and a house that does not smell like Cat urine! 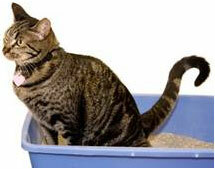 So what makes a Cat not use the litter box? If your Cats litter box is dirty then they won’t use it just as we won’t use a dirty washroom. Another thing is keeping the litter box next to your Cats food bowl because which Cat would want to relieve themselves right next to where they eat right? Your Cat may not like the litter so try using different litter and see which one they like the best. As mentioned before the signs of why Cats peeing everywhere could be the same of why your Cat is spraying indoors. 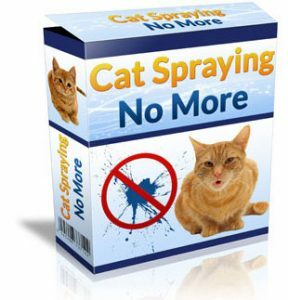 The million dollar question – What is the solution to Cat spraying or even peeing everywhere? I bought this guide myself because my Cat would spray everywhere and to be honest this guide goes really in depth to why Cats spray or pee everywhere and how you can put a stop to this permanently. And the amount of money we can save from buying Cat urine odor removers and UV Flash Lights! Shouting will just make things worse and even make your Cat scared of you!